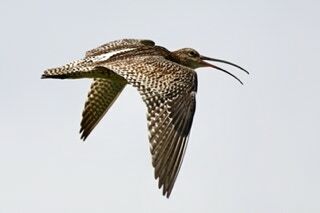 The Curlew is the largest wading bird with a long curved bill. 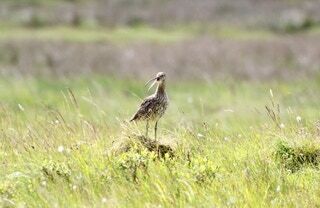 It has mottled brown plumage. They eat worms shellfish and shrimps. They are 50 to 60cm in length with a wingspan of around 80 to 100cm. They weigh in at 575 to 1000g for a female with the smaller males averaging 770g. 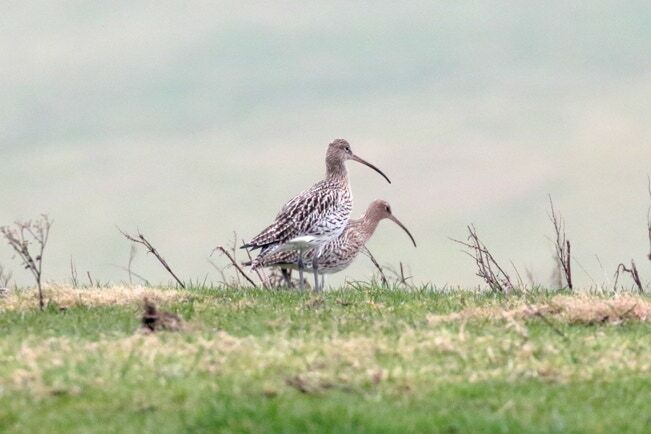 There are 66,000 pairs breeding in the uk. They are in decline and are on the red list.